Mizuki A, Nagata H, Tatemichi M, , et al. The out-patient management of patients with acute mild-to-moderate colonic diverticulitis. Aliment Pharmacol Ther, 21: 889-897, 2005. Mizuki A, Tatemichi M, Tsukada N,et al: Addition of Transcatheter Arterial Chemoembolization decreased local reccurence, but had no survival benefit to Percutaneous Ethanol Injection Therapy for Patients with Small Hepatocellular Carcinoma: A Multicenter Randomized Control Study. ONCOLOGY LETTERS 1: 855-859, 2010. Mizuki A, Tatemichi M, Sakakibara T, et al. A Multicenter, Randomized, Open-Label Trial: Efficacy of Once-Daily Versus Twice-Daily Double-Dose Rabeprazole on Refractory Gastroesophageal Reflux Disease-Related Symptoms and Quality of Life. Curr Ther Res Clin Exp. 2016;79:1-7. Mizuki A, Tatemichi M, Nakazawa A, et al. 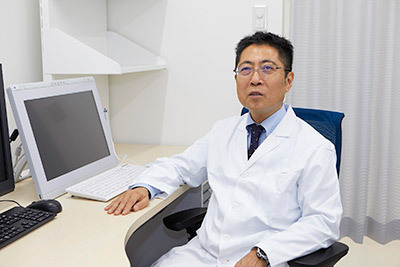 Changes in Clinical Features and Long-term Outcomes of Colonic Diverticulitis in Japanese. Internal Medicine 2017; 2017;56:2971-2977.